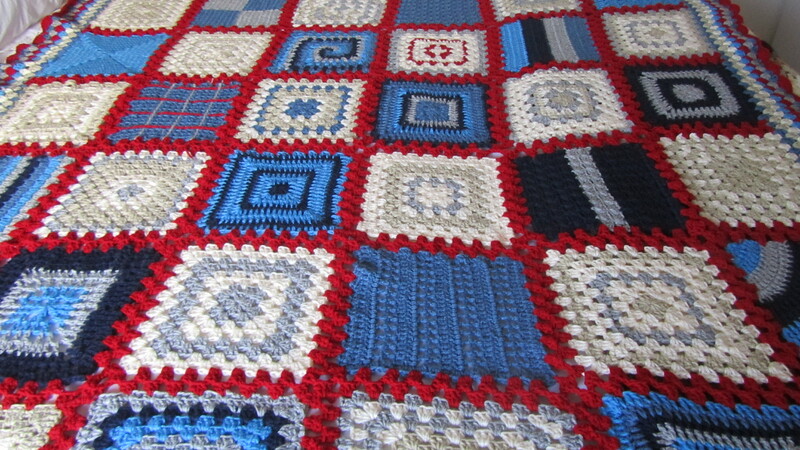 The granny square is the classic crochet motif, and it is often one of the first things that a person masters when first learning how to crochet. The classic crochet granny square is made up of double crochet stitches that are crocheted in clusters of 3 and each cluster is separated by a chain of 2. 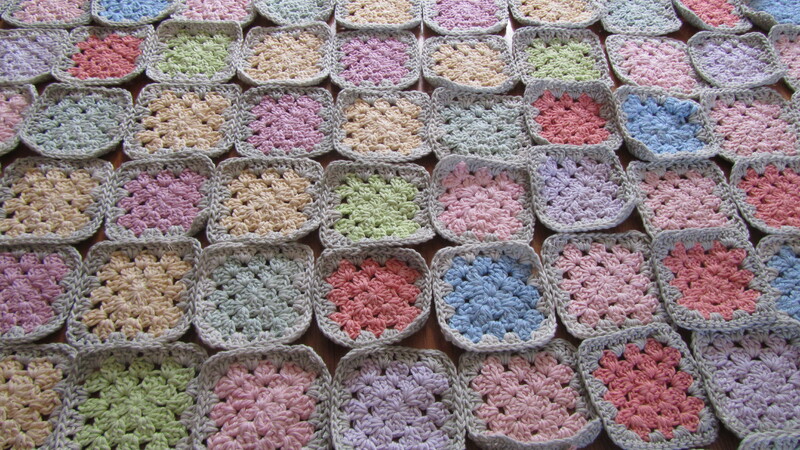 The crochet granny square is worked in the round. Gorgeous. They remind me of my Granny who loved to crochet. Thank you Sylvia! I love to crochet! Thank you Amy, the bottom one is my grandson’s rainbow blankie!